The 2010 Camaro - "2009 Concept Camaro"
The 2015 Camaro - The last year of the 5th Gen Camaro body style! This 1LE front splitter provides a unique appearance while helping to reduce front lift significantly. The rear spoiler in Smoke Gray adds to the aggressive look and aerodynamic efficiencies of 1LE. This four-piston brake system is considered world-class in the high-performance vehicle niche. It provides excellent fade resistance and is engineered to stand up to repeated high-speed stops. Red calipers add to the dramatic track-ready appearance of 1LE. 1LE is instantly recognizable by its unique matte-black hood – no additional stripe content is allowed. The front and rear wheels of 1LE are borrowed from the ZL1 and have a low-gloss black finish with a 10-spoke design. They are optimized to hold up on the track and provide a powerful appearance. The Goodyear Eagle F1 Supercar Generation 2 (G:2) front and rear tires1 (identical to the front tires for ZL1) contribute to outstanding handling. Equip your 1LE with HID headlamps (including halo rings), a body color roof ditch molding, and a body color shark fin antenna for a clean exterior appearance and unique RS badging. With 1LE’s available power sunroof. This flat-bottom steering wheel (borrowed from ZL1) provides room for heel/toe operation and makes getting in and out of 1LE easier. This wheel, accented with stone color stitching, makes the car feel more nimble and connects the driver more directly to the car. Borrowed from ZL1, the 1LE shift knob looks as good as it feels, wrapped in sueded microfiber and accented with stone color stitching. The 1LE also shares ZL1’s GM-designed short throw shifter, which has a 5.1:1 ratio — the new standard for Camaro. (Included on 2SS models) Enjoy premium performance sound with the Boston Acoustics® premium nine-speaker sound system. (Included on 2SS models) Help see items behind the vehicle with the Rear Vision Camera, displayed on the 7-inch color touch radio screen. The unique front (27mm solid) and rear (28mm solid) stabilizer bars follow the design of the ZL1. These bars improve roll stiffness during high-speed 1LE maneuvers while helping to add body control and vehicle response. The half shafts of 1LE have been "beefed up" to handle the higher grip and handling of the 1LE rear tires. The tower-to-tower brace helps to improve on-center feel, while enhancing structural feel and response. While the Camaro SS features a TREMEC® TR6060-M10 for all-around performance, the Camaro 1LE features a TREMEC® TR6060-MM6. Paired with a numerically higher 3.91 final-drive ratio, the close-ratio gearing of the transmission is tuned for road-racing performance. As with the ZL1, the 1LE transmission features a standard liquid-to-liquid cooling system for track usage. 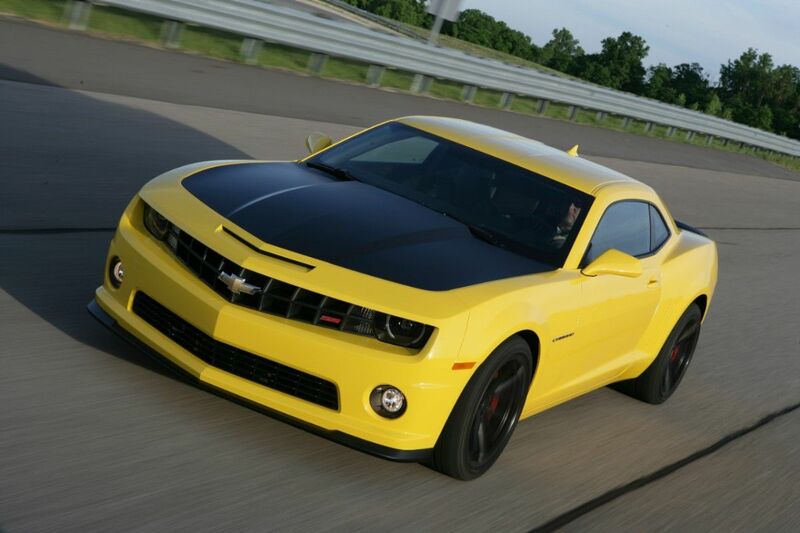 Borrowed from ZL1, the innovative power assist system is custom tuned for the 1LE. This available system (borrowed from ZL1) provides refined tuning at low engine speeds and a low-restriction exhaust at high engine speeds. It utilizes a vacuum system, coupled with twin valves located at the exhaust tailpipes. The v6 Camaro without RS package is 118 mph. The v6 camaro with RS package is 155 mph. All SS camaros are 155 mph, even the 1LE. The z28 is 174 mph. The zl1 convertible is 155 mph.